Have written a "Product Market Strategy" see Udemy course " Lean Market Strategy for Business to Business Products"
Have written a marketing plan see Udemy course "Product Marketing: Marketing Principles"
The course includes a workbook template for each lesson's exercises. If completed, you will have a draft social media marketing plan ready for implementation. 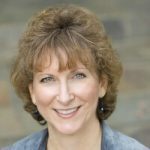 Mary Gospe, co-founder of KickStart Alliance (www.kickstartall.com) is a proven leader in initiating programs to build and nurture sales pipelines, shorten the sales cycle, and accelerate revenue creation. Her practice areas include planning and executing integrated marketing campaigns, building inside sales organizations, spinning up outsourced telemarketing vendors and streamlining sales and marketing operations. She has expertise in digital marketing, social media marketing, inbound marketing and multi-channel marketing.